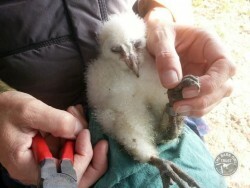 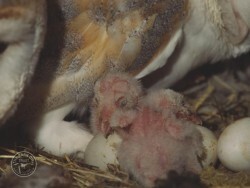 Barn Owlets’ skin is naked when they hatch, but quickly develops a thin downy covering. 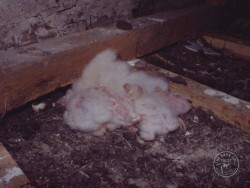 The female broods them (sits) until the eldest is around 3 weeks old, when a thicker down develops and they begin to be able to keep themselves warm. 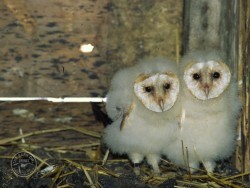 The characteristic heart-shaped face appears at about 5 weeks, and the flight feathers can be seen underneath the white fluffy down. 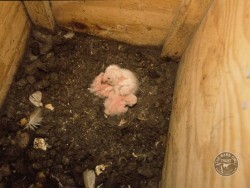 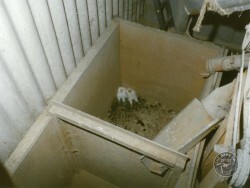 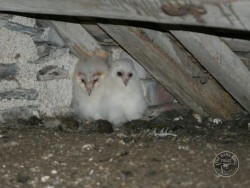 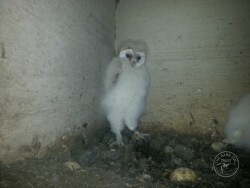 Barn Owls rearing young in Summer.